USGP attempted to enter the sport from the ground up. Upon their effort of trying to build almost everything themselves they never made it to the starting grid. Funds went dry and the team barely had a cockpit in product after millions spent. Haas F1, the current and only American based Formula One team changed the game when they entered the sport in 2016. Instead of building everything from the sketch pad, they outsourced. Part of their project came with the aid of a Ferrari alliance. Another part came from their partnership with Dallara. The current Formula 3 chassis manufacture as well as the supplier of IndyCar chassis in addition to bodywork for 2018. Hass jumped out of the gate rolling. In their debut race, they finished 6th. That was an incredible accomplishment which they backed up with a top five in their second race. Now, Haas F1 is entering their 3rd year in the sport. Dallara is still their and the manufacturing is better than ever. “Dallara is a crucial part of the team and they’ve stepped up this year too,” Kevin Magnussen said of their chassis partner. “If you look at the car, the parts look much better this year – cleaner and better quality. 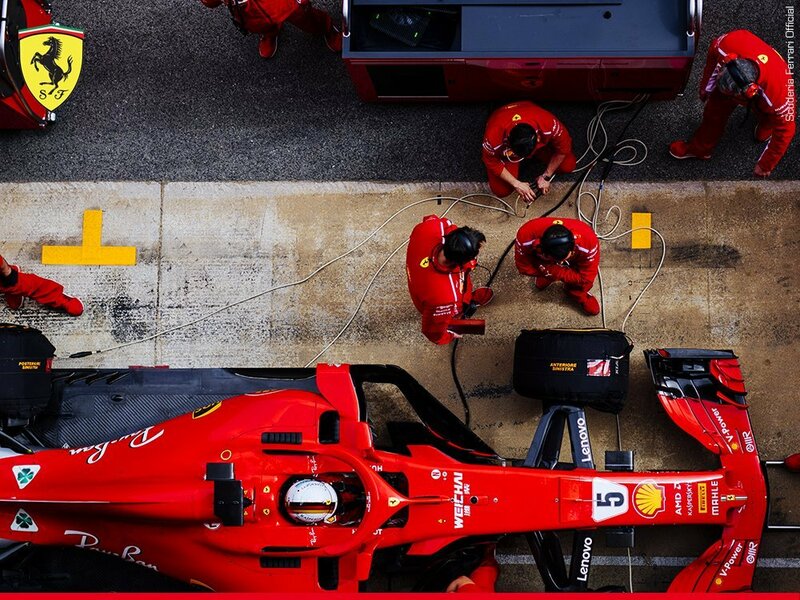 Ferrari is the other important piece of the puzzle. It’s a relationship that has come under fire with scrutiny from the other teams. That microscope isn’t new. It just comes when Haas runs well. Which they did in the opening round before mechanical issues and errors took both cars out of the race. “I think the way we operate the team and the way we created that partnership with Ferrari is good for F1,” Grosjean stated. Gunther Steiner leads the effort at Haas F1. The team principal discusses their efforts and how they put the pieces together. “You need the people to gel, to work together, who is weak – everybody has to be at a very high level you can’t have a weak spot because that takes down the rest of it.